PDCA Consulting will sharpen your cutting edge. If your company is remotely like others, you hold the keys to a treasure chest, full of problems. What if we acknowledged them – honestly and openly with no fear of rebuke or retribution? What if we embraced them – willingly and enthusiastically? What if we empowered the workforce, and got out of their way? We would then have the right conditions to resolved them permanently. This is this important because, if you remove the problems, you remove built-in fiscal drag, unjustified complexity, and unnecessary stress. 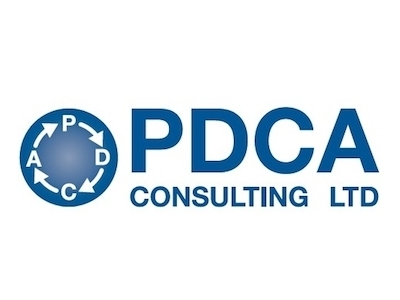 Let PDCA Consulting help you to unlock the full potential of your business. People who make instinctive, snap judgements will go through life with a 50/50 record of success. Is that good enough? It might be in certain situations but, if you have the data, you don’t need to guess. If you don’t have the data: Can you get it? If yes, wait for the data analysis. If no, make the best possible decision based on known information (which could sometimes be to take no action/decision), and try to mitigate against all potential risks. Lancashire has a great swathe of human capital. It is geographically blessed, and has relatively good infrastructure. The local political landscape is favourable to business. These are just some of the marginal gains on offer to help a growing business. Boost Business Lancashire is a great initiative because it starts with a frank and open conversation with clients to identify specific needs. It targets the issues surrounding business growth, offers the right kind of support, and avoids much of the bureaucracy that has hampered previous incarnations. It’s not all about money, as the programme aims to add value with bespoke business interventions that clients require.